I started writing about 7 years ago. I am also an avid reader and scrapbooker, make my own jewelry and I love to oil paint. I have been married to my high school sweetheart for 47 years. We live in Utah and love to travel. We have 2 sons, 1 daughter, and 2 grandchildren. Siobhan is a master craftswoman, creating intricate miniatures from Connemara marble. When Brendan sees her exquisite work, he is determined to sell the pieces throughout the area. In the midst of their business transaction, Siobhan comes to the realization that Brendan stays in her thoughts more often than he should. Determined to only marry a warrior, she does her best to avoid him at all costs. Brendan, however, is not satisifed to let things lie. He's determined to show Siobhan how right they are for each other. He knows his kisses light her on fire. Now he needs her to understand that he is not merely a merchant, but is skilled with a sword. While he is capable of fighting against the best, he chooses a quieter life,where taking the life of another is not a requirement of day to day living. Will Siobhan open up to him, allowing him to show her how wonderful they can be together? Or will her ideas of only marrying a man who is a warrior stand in their way? Marie Sterbenz has given us a wonderful historical romance. The tone in which the story was told added to the accuracy of the time, and the mounting sensual tension that built between the hero and the heroine did not dissapoint. I really enjoyed this story. 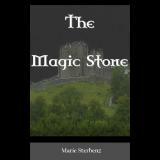 It is a wonderful look into medieval Ireland and a very enjoyable love story too... The author has created memorable and vividly real characters and the plot is more complex than a simple love story and full of historical details.